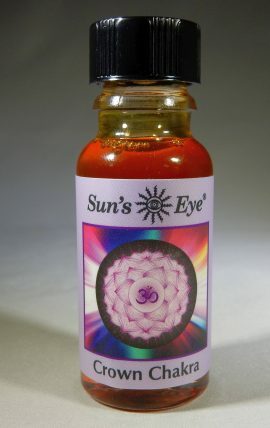 You can ground with the Root Chakra Essential Oil Blend, 1/2 fl. 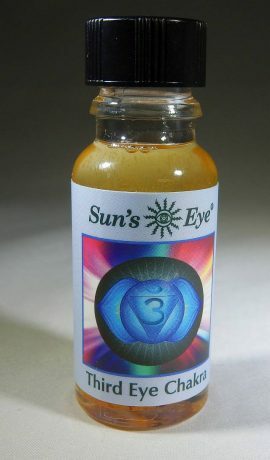 oz., Sun’s Eye features Hematite and Clove to promote grounding and tribal instincts. Contains Essential Oils of Cedarwood Virginia, Lavender Bulgarian, Clove Bud, Ho Leaf, Copaiba Balsam, Patchouli, Rosewood, Frankincense. 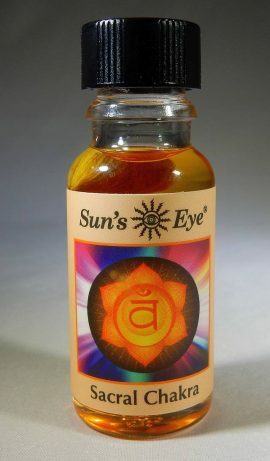 You can enjoy the Sacral Chakra Essential Oil Blend, 1/2 fl. 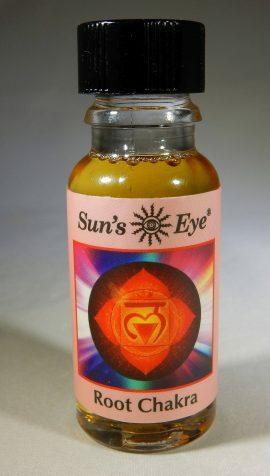 oz., Sun’s Eye features Carnelian and Cardamom Pods to promote sensuality and creativity. Contains Essential Oils of Ylang Ylang, Atlas Cedarwood, Mandarin Orange, Palmarosa, Clary Sage, Nutmeg. 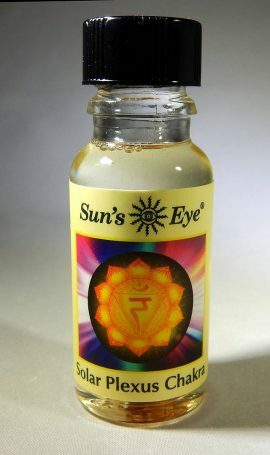 You can enjoy the Solar Plexus Chakra Essential Oil Blend, 1/2 fl. oz., Sun’s Eye features Citrine and Lemon Peel to promote self-empowerment and individuality. Contains Essential Oils of Clary Sage, Patchouli, Orange, Cardamom, Ylang Ylang, Nutmeg, Peru Balsam. 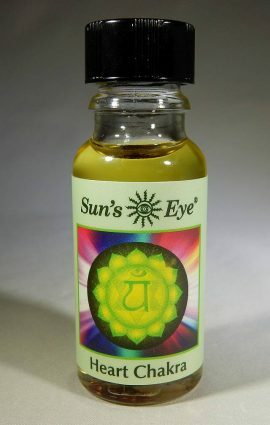 You can enjoy the Third Eye Chakra Essential Oil Blend, 1/2 fl. oz., Sun’s Eye features Amethyst and Palo Santo Wood to promote intuition and insight. Contains Essential Oils of Lavender, Tangerine, Clary Sage, Cedarwood Virginiana, Peru Balsam, Chamomile Blue, Frankincense. You can enjoy the Throat Chakra Essential Oil Blend, 1/2 fl. 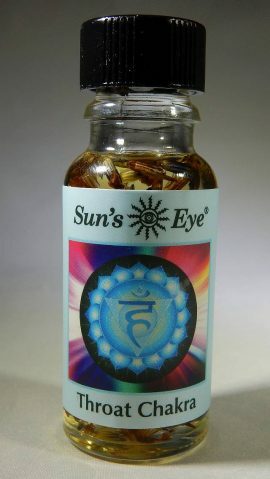 oz., Sun’s Eye features Lapis Lazuli and Lavender Buds to promote expression and communication.